If you have multiple departments like sales, accounting, HR, marketing etc. 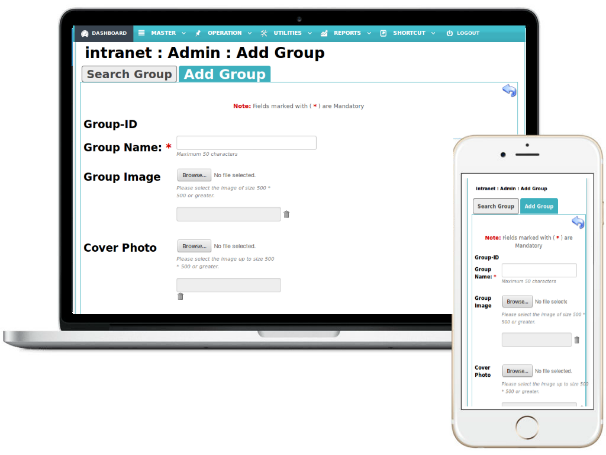 using your company intranet, keeping them organized can be a daunting task. Segmenting your intranet with online workplaces or groups can play a beneficial role. Managing groups will make navigation easy thus ensuring that no one gets the wrong, or irrelevant content. Grouping departments help organisations to grow further in an organised pattern. You can manually setup groups / online workplaces easily even without the need for active directory sync. Admins can be alloted to manage the groups online. Give your department heads and employees the enterprise social intranet network they need to communicate and share information needed to get work done better and faster. 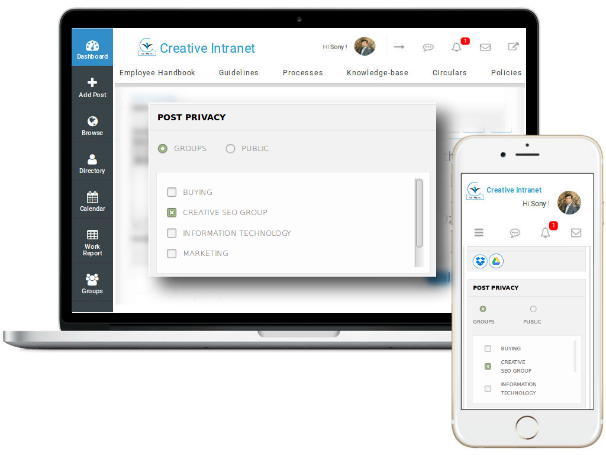 Enhance company productivity with Creative Social Intranet. Department or Group specific posts, news, polls, documents can be securely and easily communicated within specific groups of employees. 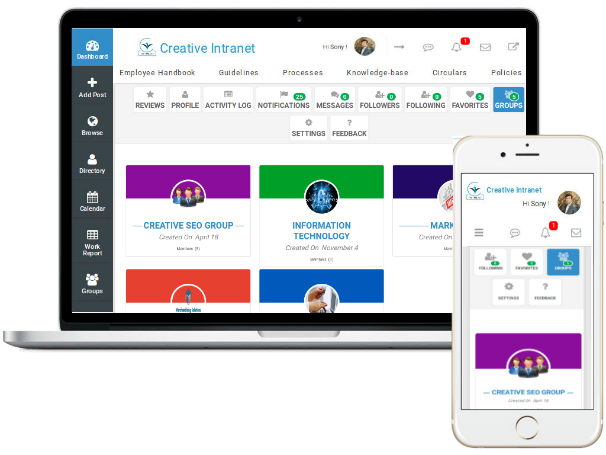 Segment Your Intranet into Spaces, Departments, Groups of Human resources, marketing, sales, product management, R&D, IT, customer support - Engage all your departments and align them strategically. 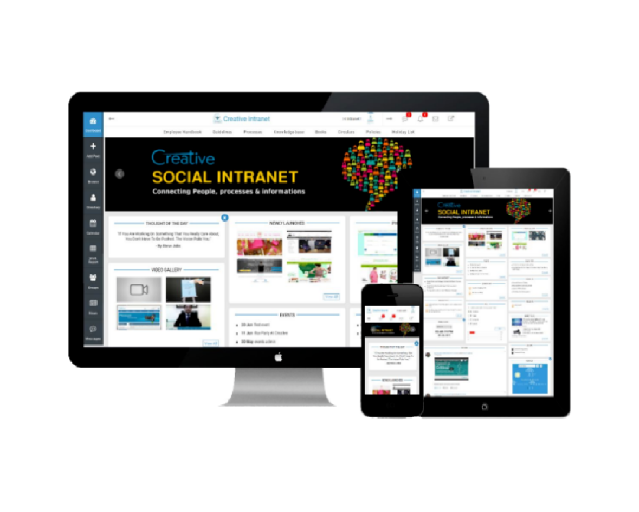 Creative social intranet software is the modern way to strengthen the internal communications in your company. Share department events, trainings and meetings schedules to your group members. Manage department calendar to plan and communicate on events.